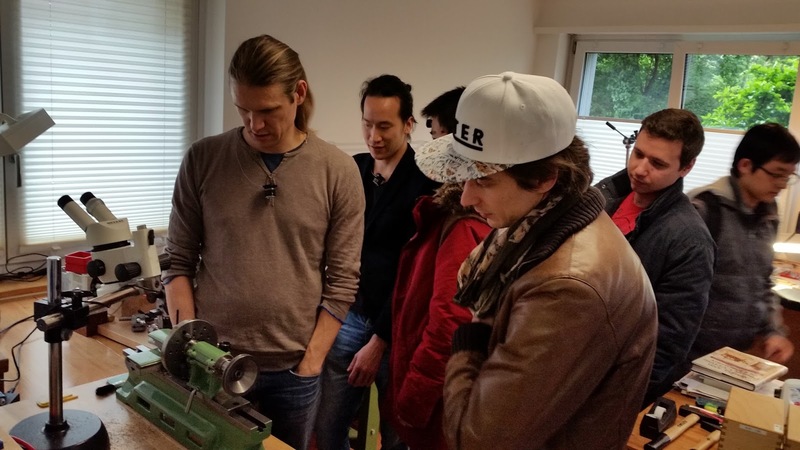 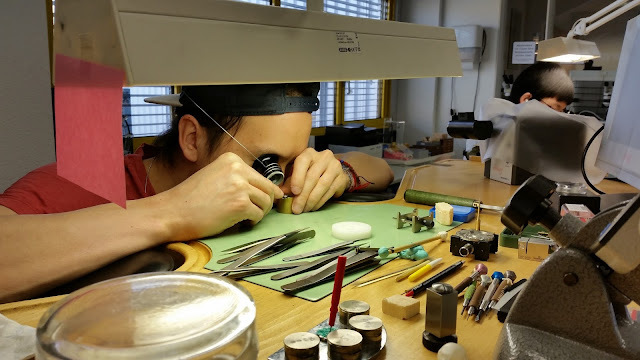 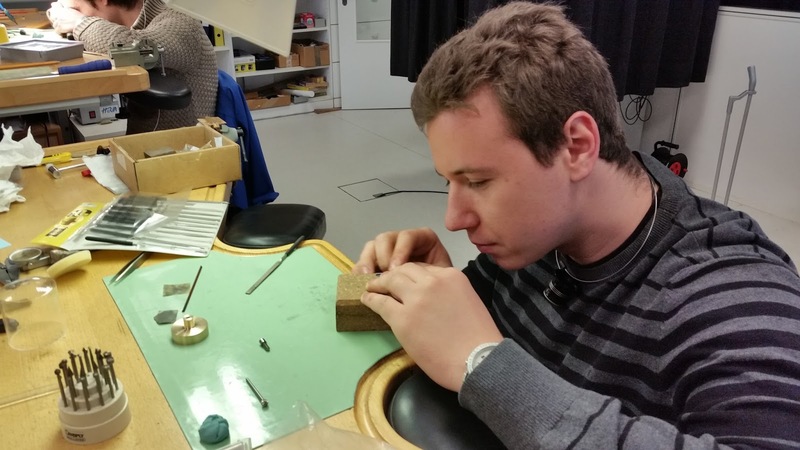 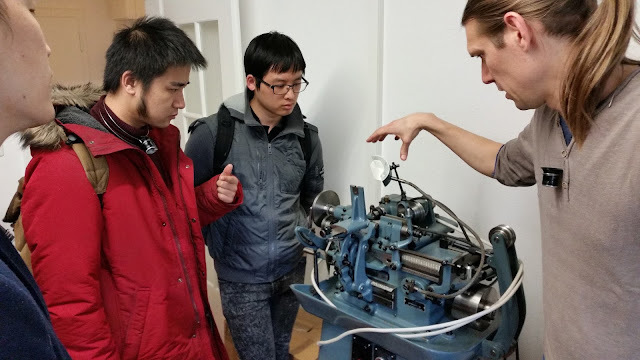 Last Friday the students took a field trip to a rising star of the independent watchmaking world, Kaj Korpela, who happens to be Henrik's brother. 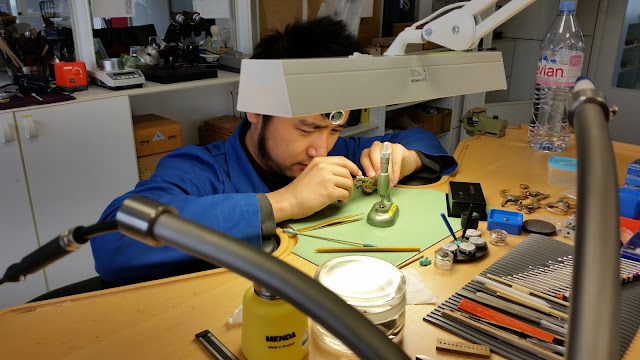 He is currently working on his self designed, and completely hand-made (including the whole escapement minus the hairspring and pallet jewels) tourbillon wristwatch. 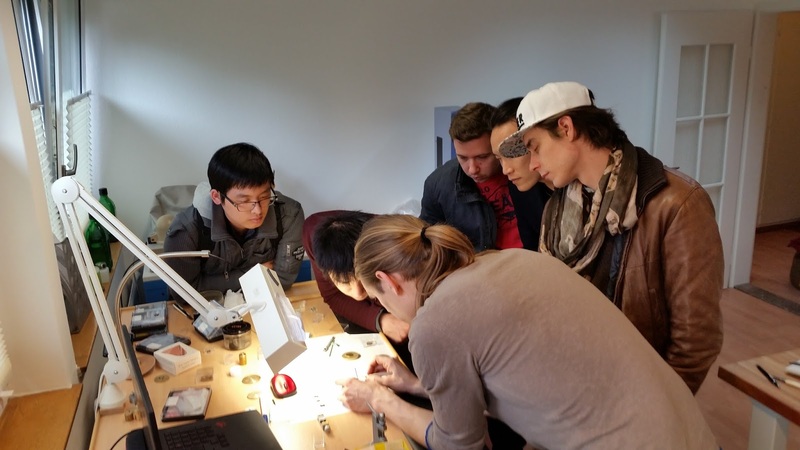 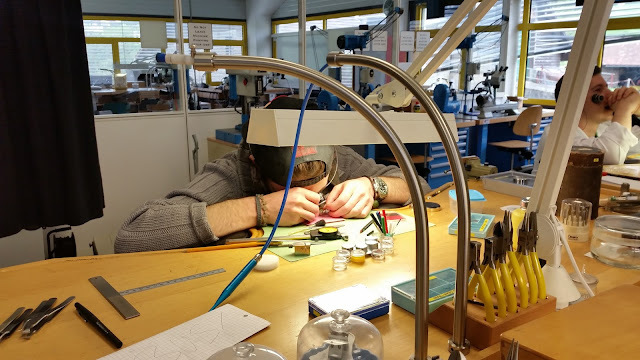 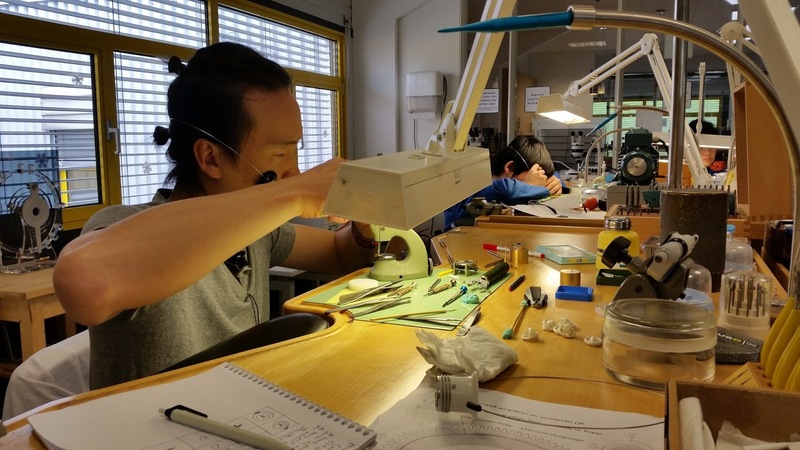 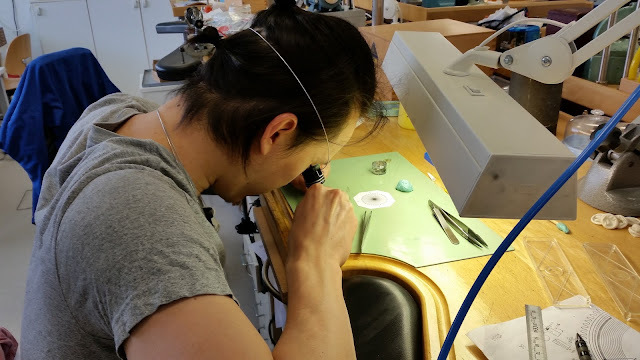 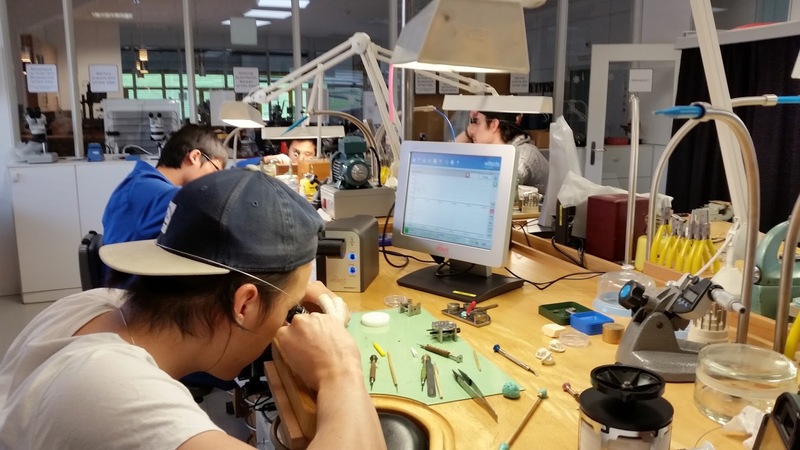 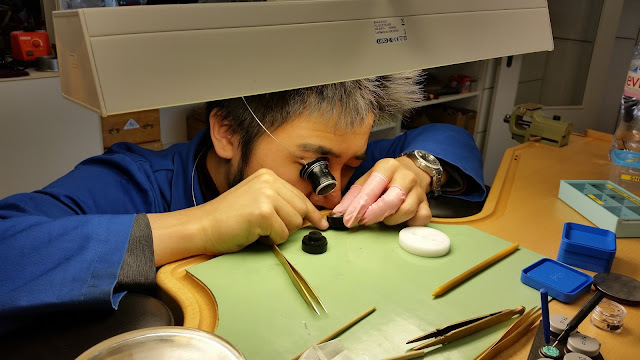 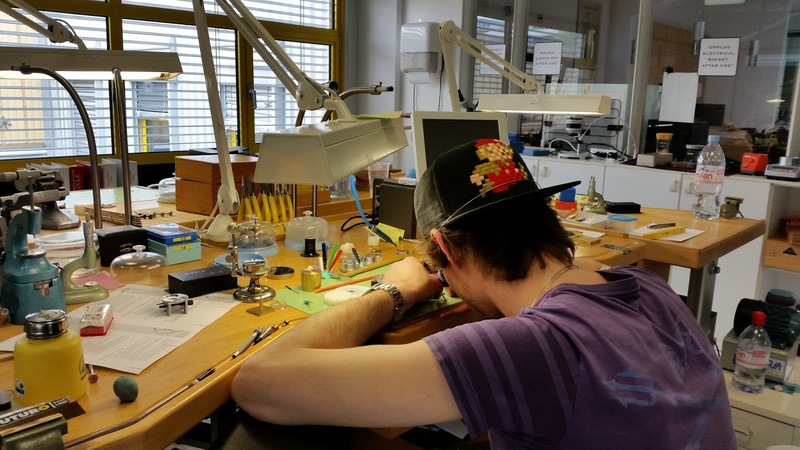 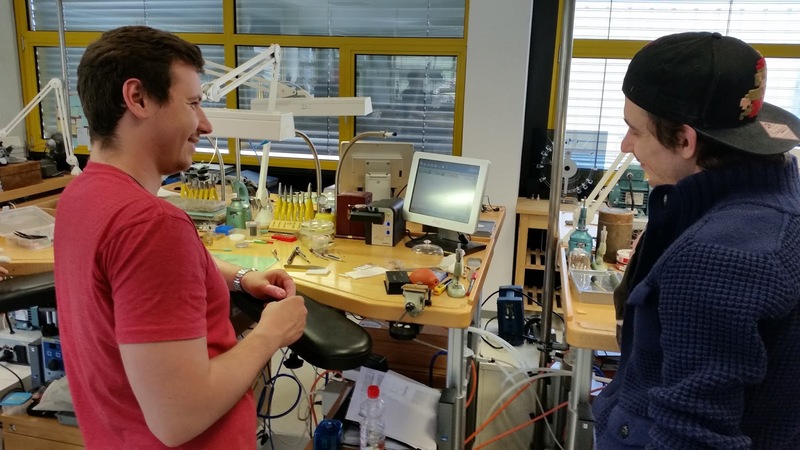 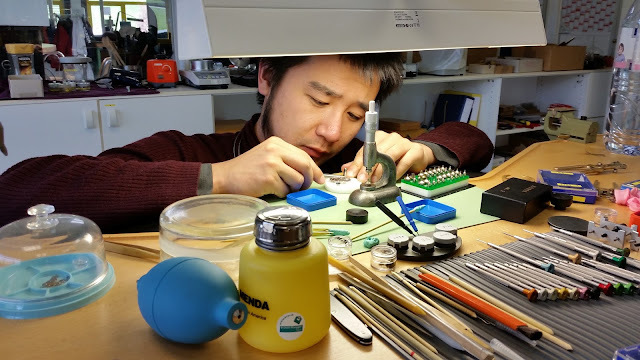 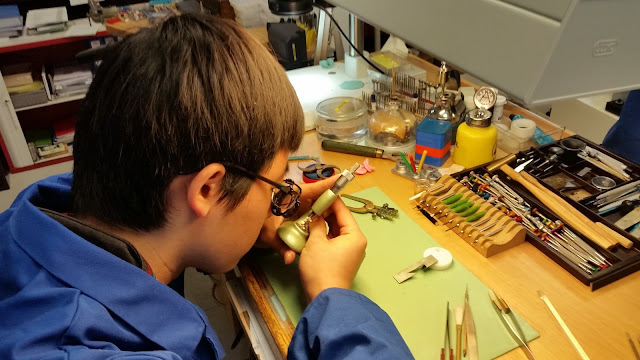 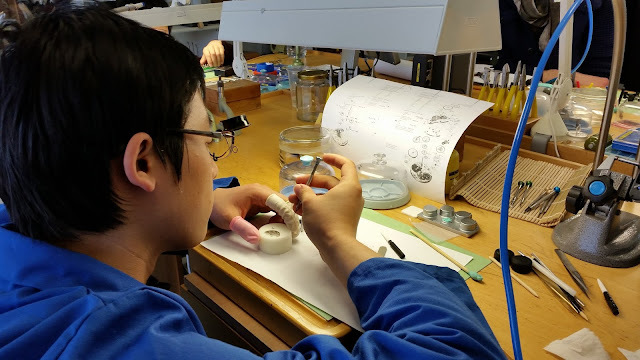 The students got a chance to look at how an independent watchmaker sets up shop and what creative ways parts can be made with the "limited" machinery that is owned by the watchmaker. 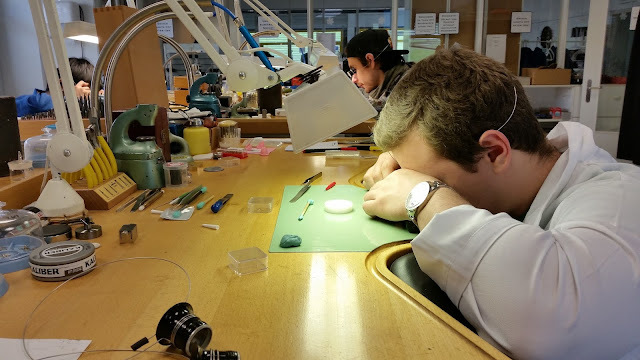 Kaj also gave the students a glimpse of how it feels to work as an independent watchmaker, designs can be a felt out by the warmth of the hand, and not necessarily rigidly followed from drawn designs of computer softwares. 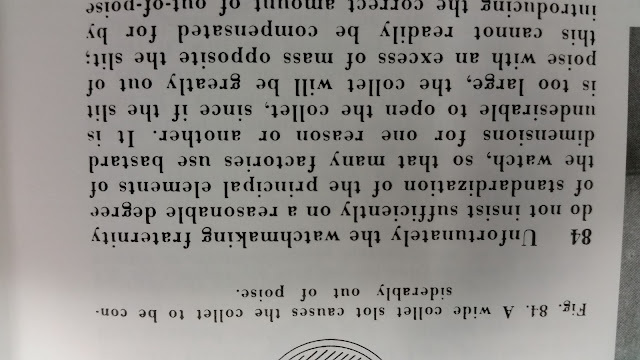 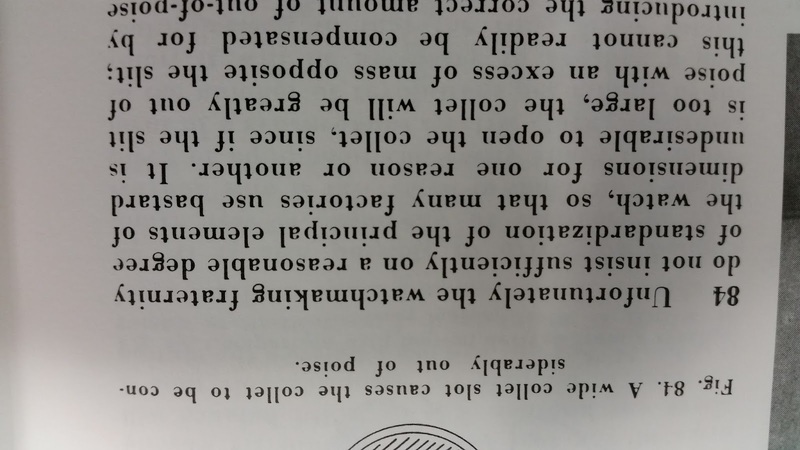 Back in the classroom, the students started the final subject of timing. Using our Witschi machines, they began timing the 6498 balances they have been working on so hard these past weeks. 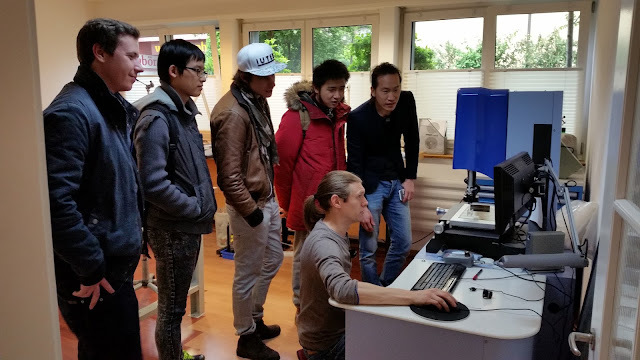 Right now they are just getting a feel for the machines and learning how to operate them, in the next few weeks they will start to figure out where the errors come from and make the movements perfect. 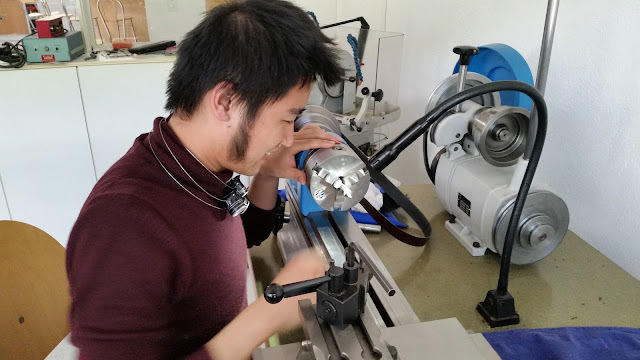 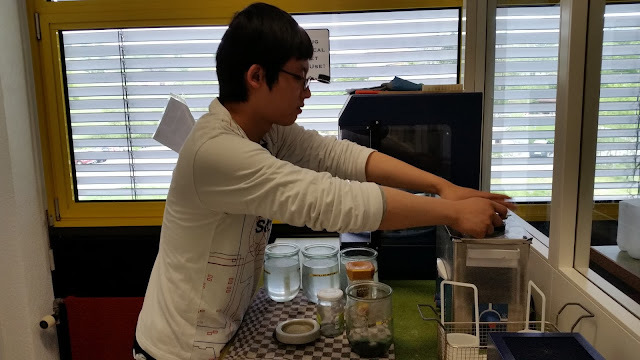 Shuai and Eddie on the other hand have started the oiling of the winding and setting system along with learning the theory and operation of endshakes for the geartrain. 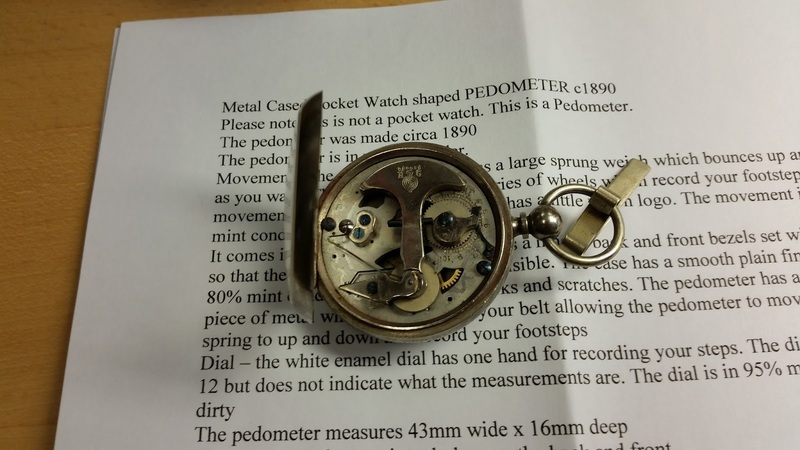 It is the first steps to understanding how the timing is affected, but they might not know that yet! 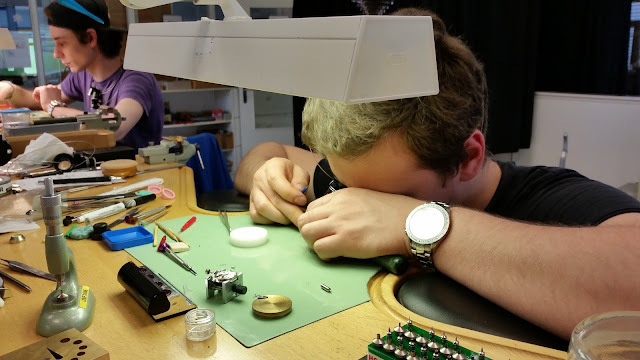 All that is going to change real soon however.